Chauncey Freeman was a kid from Texas; Freeport to be exact. It was a small town back in the early 1940’s, but with promise of good new jobs and growth. Freeport-McMoRan, a sulphur mining company was an area industrial leader and had been so for 30 years. Dow had recently opened a magnesium extraction plant across the Brazos River. Coming of age as a tall and rangy looking teenager during the early part of World War II, Chauncey, like millions of others was anxious to do his part, so at the tender age of 20, he left his job managing the Freeport Theater and enlisted in the U S Army Air Corps in March of 1943. 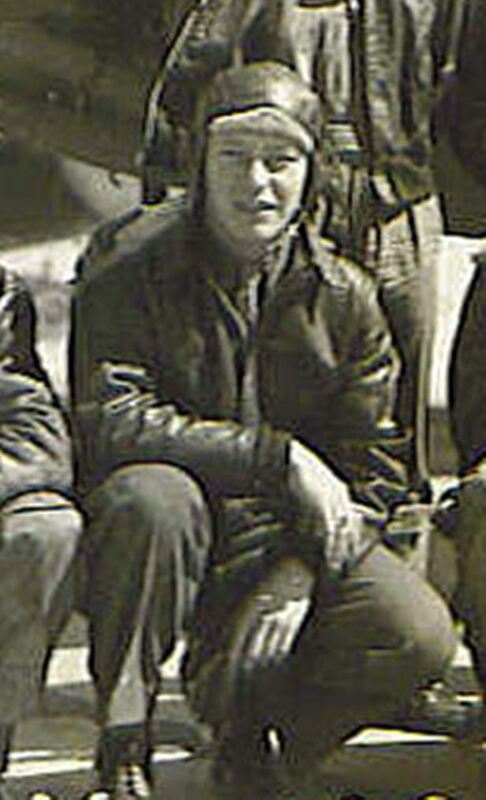 After boot camp, Chauncey was selected for training to become a flight engineer on a B-24 Liberator bomber, a job that required him to not only become a qualified mechanic but to manage dozens of fuel valves, flight gauges, cross-feeds, and other mechanical aspects of the plane, completing a long menu of complex pre-flight and in-flight tasks. His duties would also include serving as the top turret gunner, and so this very young man readily took on greater responsibility than he could have ever imagined growing up in the hardscrabble depression that gripped the nation. 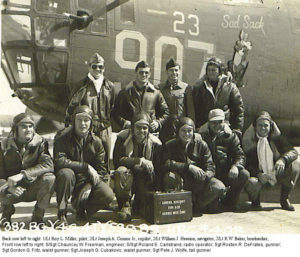 After completing his training and coming together as a team with the rest of his B-24 crew, Chauncey Freeman left for England to begin flying missions for the 392nd Bomb Group out of tiny Wendling Air Base, one of dozens of such bases carved out of the rolling farmland of East Anglia. His first mission was on June 2nd, 1944, to bomb a tactical gun emplacement at Berck Sur Mer in advance of the D-Day invasion. All went well, and the plane called Short Snorter and its crew returned safely to Wendling along with every other plane of the 392nd. Now, I told you that story so I could tell you this one. A young man named Robert W. Baker was another kid from Texas, having grown up not far from Freeport in the town of Baytown, perhaps 60 miles from Freeport as the crow flies. Robert was a couple of years older than Chauncey and as a college student, was selected for the officer corps in the Army Air Corps where he completed his specialty training and flew missions over Germany. 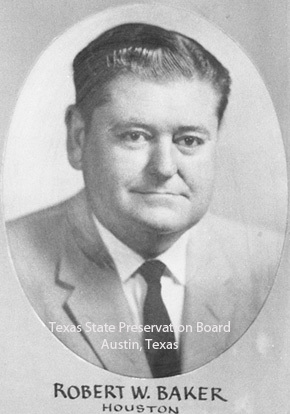 After the war, Robert Baker obtained his law degree from the University of Texas and went on to serve three terms as a Texas State Representative and later as a Texas Senator from 1959 to 1963, where he was known for his passion and courage in enacting meaningful legislation in the face of stiff opposition. Bob Baker presented a pleasant appearance that masked fierce determination; a determination that could be readily seen if one looked into his eyes. Like a young bulldog pulling on a towel, he would not let go of an issue until victory was won. One of his many legislative successes, and probably his toughest one was the nearly herculean effort in 1961 to add the University of Houston to the system of state supported colleges, opening the door for generations of Texas young men and women to achieve a college education at a time when most of his colleagues were vehemently opposed to such a measure. As a staunch democrat, his other legislation included bills that led to the opening of medical examiner offices in many Texas cities, made shoplifting a crime, provided for meaningful water pollution controls, and established the Psychiatric Research Institute in the Texas Medical Center. Bob Baker led the fight for the open beaches law in Texas, and lobbied hard for the creation of a national seashore area on Padre Island. In fact, one of the few times he did not win a cause for which he was fighting was his run for governor in 1962. His raw determination and passion was admired by his fellow representatives and born from his South Texas upbringing and his steadfast service in the war. Robert W. Baker was by every measure, a man who got things done. Over in England, D-Day came and went and the mission load for Chauncey Freeman and his crew mates was intense. 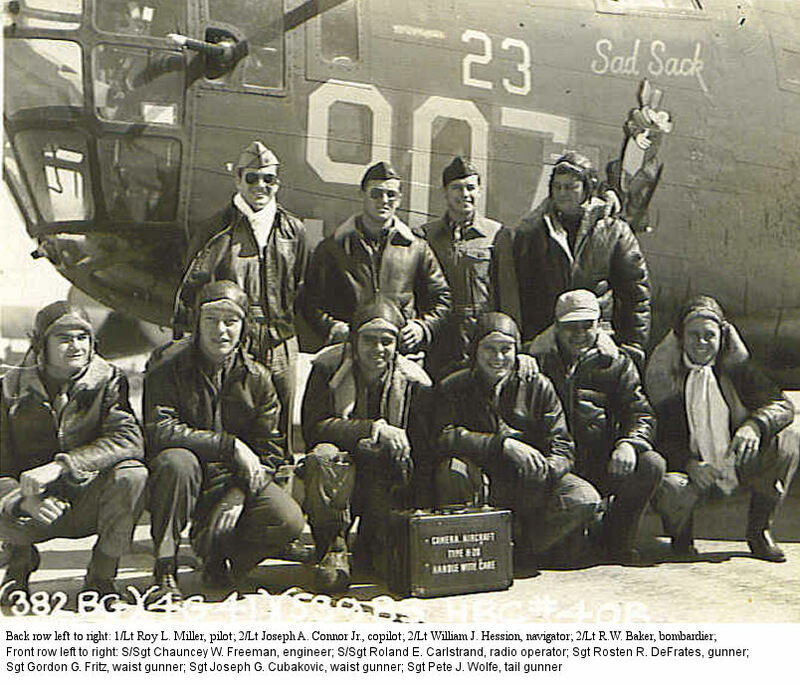 After flying the first four missions in four different planes, the crew led by pilot Lt. Roy Miller was assigned to ship number 037, and nicknamed Sally. They flew no less than 12 missions from June 2nd to June 26th, eight of them in Sally and some with incredibly stiff opposition from German flak batteries and fighter planes, but each time, they returned safely to Wendling after delivering their load of bombs. Some in the 392nd were not so lucky. On the June 20th mission to the heavily defended synthetic oil refinery at Politz, no less than four of the 392nd’s B-24s went missing in action. The crew of Sally made it through OK while watching so many of their fellow airmen fall from formation in their damaged planes. Now came the 13th mission for Sally’s crew. All wondered if 13 would be the unlucky number for Sally, and on this day, June 29th it was. On a mission to bomb an armament factory at Magdeburg, the intense and accurate German flak was like a carpet of death, shaking the plane violently, threatening to rip it apart. Lt. Miller successfully navigated Sally to the target working hand in hand with his bombardier, dropping bombs on target, but a close flak burst was the price to pay. Chauncey Freeman was severely wounded by a chunk of shrapnel that hit him in the head and another flak burst smashed the cockpit glass injuring Lt. Miller and his co-pilot, Lt. Connor. Sally was losing fuel and fell behind the formation returning to England. The only saving grace was the fact that no German fighters were on scene to finish off Sally and her crew. Severely wounded but conscious, Chauncey Freeman endured intense pain from his injury, and not having anything on board to ease his suffering, the bombardier attended to Chauncey and gave him a pencil to grasp in his teeth as a way to deflect some of the pain. Chauncey went through several pencils on the flight back as the bombardier tried to comfort him, in awe of Chauncey’s bravery and courage even as the life drained from his body. With Chanucey’s blood on his hands, the bombardier did what little he could to reassure the young Texan but Chauncey’s life passed before Sally could reach England. Accident records said it was very hard for the bombardier to watch his friend eat pencils to kill the pain, knowing he was not going to make it, but praying he would. Running low on fuel, Lt. Miller, badly injured himself, skillfully crash landed Sally in a farmer’s potato field about 15 miles short of Wendling, sparing any of the remaining crew from injury. The incensed farmer roundly chewed out the American crew for ruining his crop only to be sharply corrected by British MP’s who arrived on scene, telling the man that without these Americans, he’d be feeding his potatoes to the Germans. The farmer retreated. Sally was dismantled over the course of several days and trucked to a nearby repair depot where she was fully restored and eventually finished the war. After V-E day, Sally’s bombardier returned home to the US and to his father’s surprise, insisted upon heading straight to Freeport Texas even before going to his own home to tell Chauncey Freeman’s parents exactly what had happened to their son, and to offer his condolences for the loss of his friend. 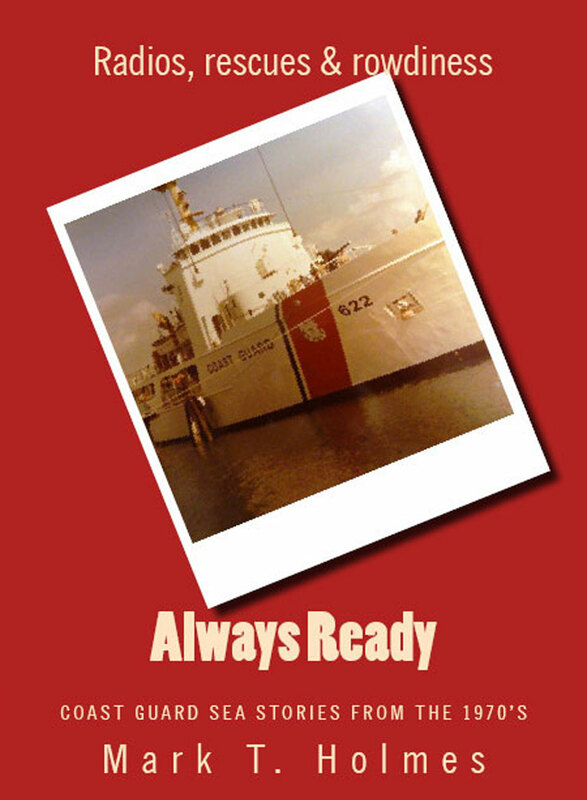 He knocked on the door of the modest home in Freeport, the one with the gold star service flag in the window and introduced himself as Sally’s bombardier, Lt. Robert W. Baker. Motivated by having survived 30 plus missions with the 392nd, and forever changed by witnessing firsthand what true courage could be as he comforted and held his mortally wounded friend, Robert W. Baker drew inspiration from his war service and went on to become one of the most determined and successful legislators the state of Texas had ever known. And now you know… the rest of the story. Good day! Photos courtesy of b24.net and the Legislative Reference Library of Texas.